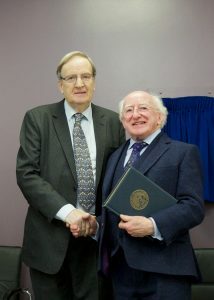 Professor Davis Coakley with President Michael D. Higgins at the commissioning of MISA, 2016. Welcome to the Creative Life Centre at Mercer’s Institute for Successful Ageing. Good health is not just about the absence of disease, but increasingly about improved quality of life. Creativity has an important role to play in enhancing quality of life and enabling successful ageing. Creativity enhances the psychological and emotional well-being of the individual, permeating and enriching everyday life, leading to greater personal fulfillment. By exercising our minds and bodies, creativity can increase skills and heighten self-confidence as well as motivation. 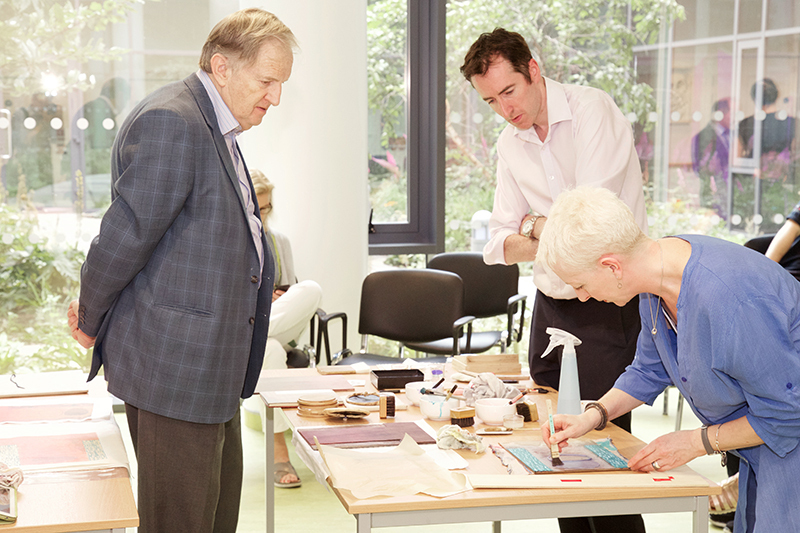 The Creative Life Centre promotes and highlights the creativity of older people, enabling them to express themselves through art, sculpture, poetry, literature, music and drama. It includes a volunteer network of all age groups, but primarily of older people themselves. The Centre interfaces closely with employee groups, retirement organisations, charities, local community centres, schools and colleges, locally and nationally. The Centre is a community resource and provides a structured forum for people of all ages to experience the positive aspects of creativity in ageing. In addition to being a local resource, the Centre interfaces with the wider Irish society, acting as a model of how creativity and the arts can contribute to successful ageing throughout Ireland and beyond. 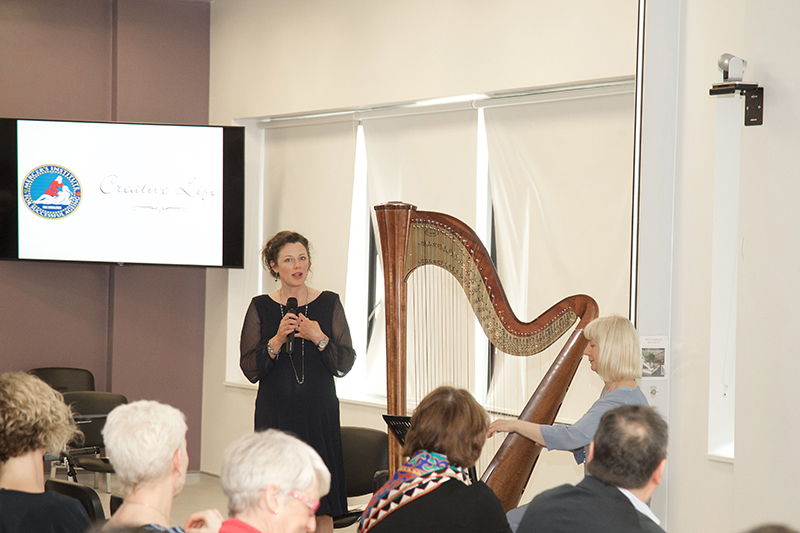 The Creative Life Centre at the Mercer’s Institute for Successful Ageing hosted a series of lunchtime talks on art in the summer of 2017 exploring a variety of art concepts. 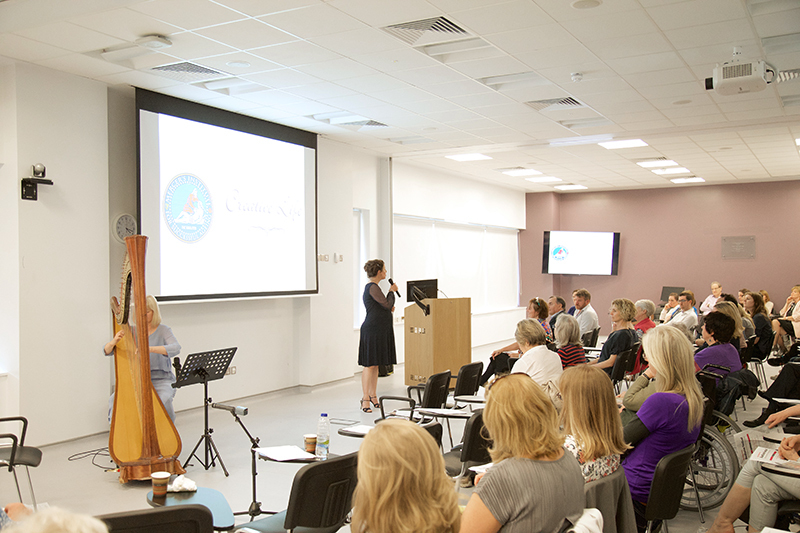 These informal lectures were attended by patients, their families, St.James’ Hospital staff, and members of the local community from Dublin 8. These sessions generated an interactive discussion on art with audience participation. This experience led to an initiative to focus on and enhance creativity based learning, which would reflect the value of the person centred model of care. 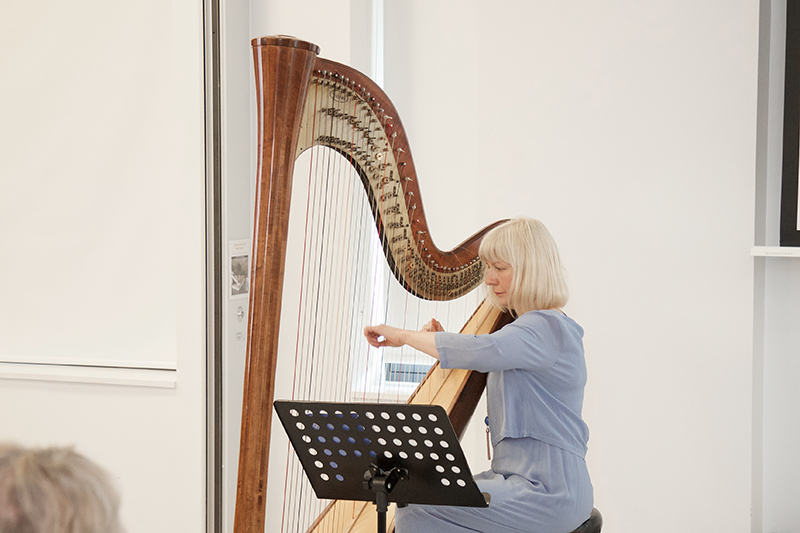 This in turn builds future initiatives in Creative Life to measure and reflect the arts, wellbeing and positive ageing opportunities for example, piloting art workshops, exhibitions, and art lectures that may connect us to our local community. The interconnectivity of this experience may induce empathy that may help us understand our journey with art within out institute and beyond. Our future initiatives will focus on how creativity can make an impact on people’s lifelong learning experience, enhancing the quality of life for our patients, staff, and local community. 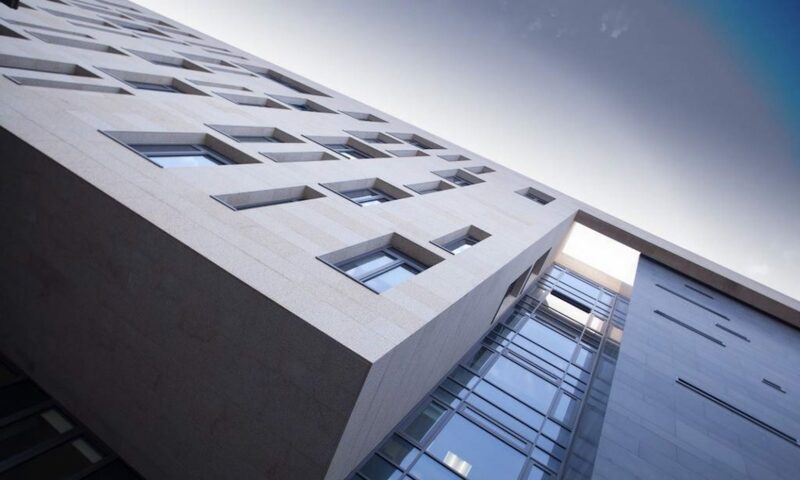 For information on future Creative Life events, workshops, creative lectures or classes please contact our Creative Life office at (01) 410 3055 or by emailing rnevin@stjames.ie. Positive Ageing Week took place from the 26th to the 28th September in the Mercer’s Institute of Successful Ageing (MISA). 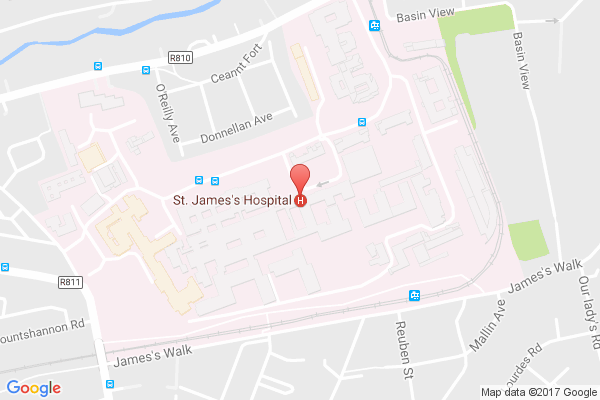 The event was a great success as a result of the support from the people of MISA, St.James’ Hospital (patients, families, and staff) and the local community who came together over 3 days to celebrate national positive ageing week with Age Action. The opening day started with a lecture from Professor Rose Anne Kenny outlining positive ageing in Ireland. Speakers included Donal Denham from U3A – Lifelong Learning, Robin Webster from Age Action, and Active Retirement Ireland Group, RAMS Choir. A series of talks were held on topics ranging from a photography project, involving people who suffer from respiratory illnesses (Photovoice Project), community garden project “Flanagan’s Field”, tai chi talk from Tai Chi Ireland, ARTzheimer, artists from all ages connected to art and living with Alzheimer’s disease. Thanks to the involvement form the Global Brain Health Institute, Dementia Services Information and Development Centre, TILDA study, Dublin Culture Connect, IMMA AZURE programme facilitators, and all who made Positive Ageing Week a great success. It was all very much appreciated.